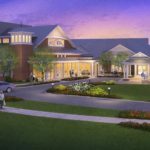 Fellowship Senior Living and Trilogy Repertory officially have broken ground on the new cultural arts center to be completed in 2019. 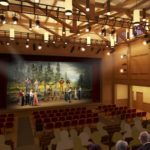 Once the project is complete, Trilogy will serve as the main tenant of the theater and will be able to stage several indoor productions per year to complement the outdoor Plays in the Park production held each summer. 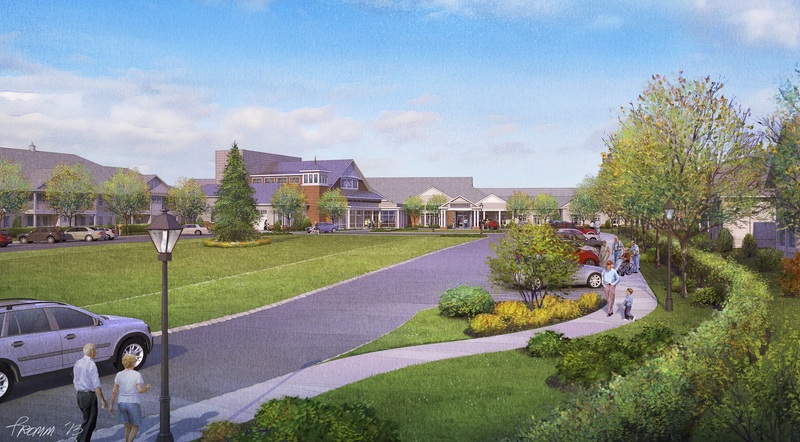 We are grateful to Fellowship Village and its residents, to Bernards Township, and to our dedicated patrons and friends for their continued support. 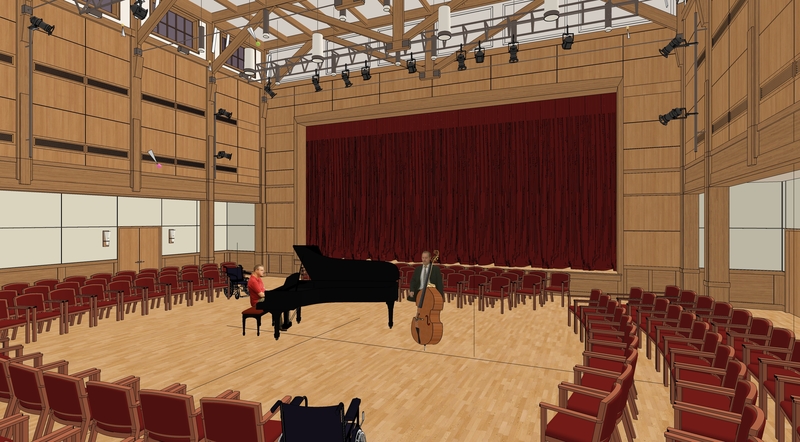 We cannot wait to entertain you all in our new home. 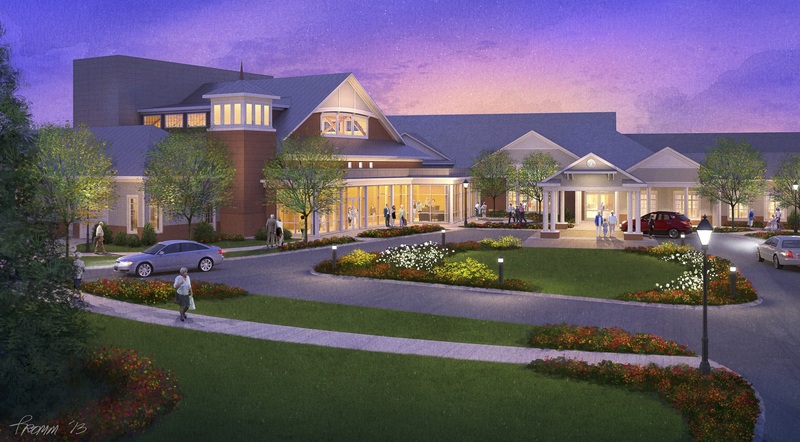 Trilogy has begun an extensive fundraising campaign which will roll out in several phases. 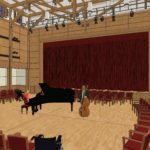 Click here for our official fundraising brochure, which provides background and information on the project, pledge information, and special recognition opportunities. You also can contribute to our campaign via GoFundMe or PayPal Giving Fund. 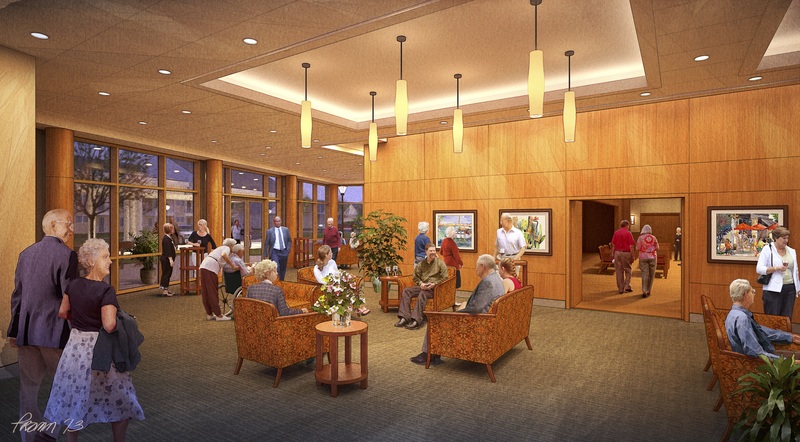 Enjoy viewing several architectural renderings of what you can expect to see very soon. For construction progress, visit our gallery here! 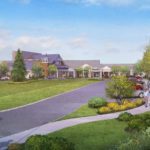 Welcome to Fellowship Village Senior Living! The theater entrance is well-lit and close to the main parking area. 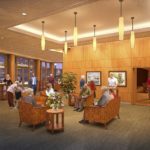 Enjoy time in a beautiful lobby. 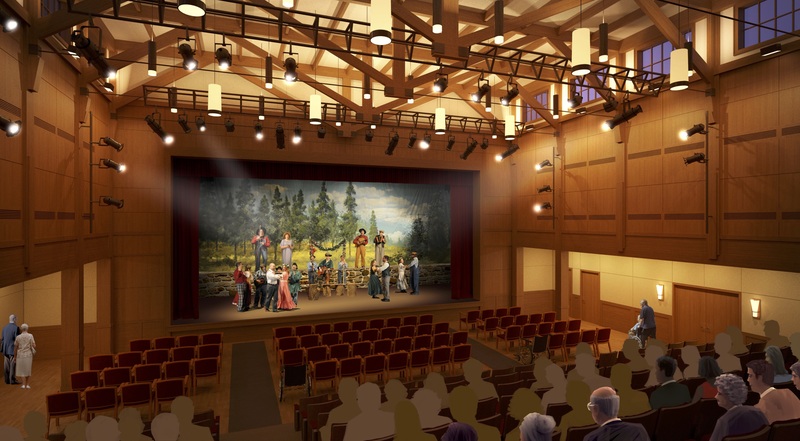 The performance space has many configurations available to accommodate all sorts of performances, both grand and intimate!